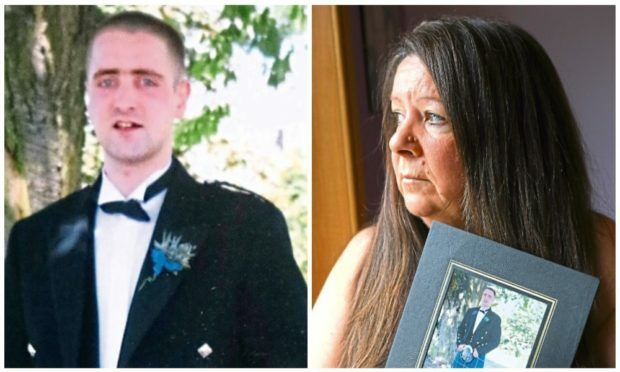 A grieving mum is still seeking answers 11 years after her son died at the Carseview Centre. Gavin Allan was just 26 when he died from the “adverse affects of heroin” on January 17 2008. His mum Wilma Hughes, from Douglas, said she still doesn’t know what happened in the hours leading up to her son’s death. Wilma said: “I’m still looking for answers about how my son was able to get the drugs that ultimately killed him. “It’s 11 years since Gavin died but I’m still grieving. “I’ve decided to speak out now because things like this are still happening. Wilma said that although he was never properly diagnosed, she believed Gavin could have been suffering from ADHD as a teenager. Wilma said after he left school aged 16, Gavin started to dabble in drugs – but she wasn’t aware of that at the time. She said by the time her son was in his 20s, he was smoking heroin and had to give up work. “One night Gavin came to me and said he needed help,” Wilma said. “He came to stay with me for a while but he became increasingly unwell and was suffering from mental health issues. Gavin spent time in hospital following the incident, as well as a period in Carseview. Wilma said: “It was while he was in Carseview and supposedly under 24-hour supervision that he was able to get away and find the drugs that resulted in his death. A spokeswoman for NHS Tayside said: “Our thoughts remain with the family.